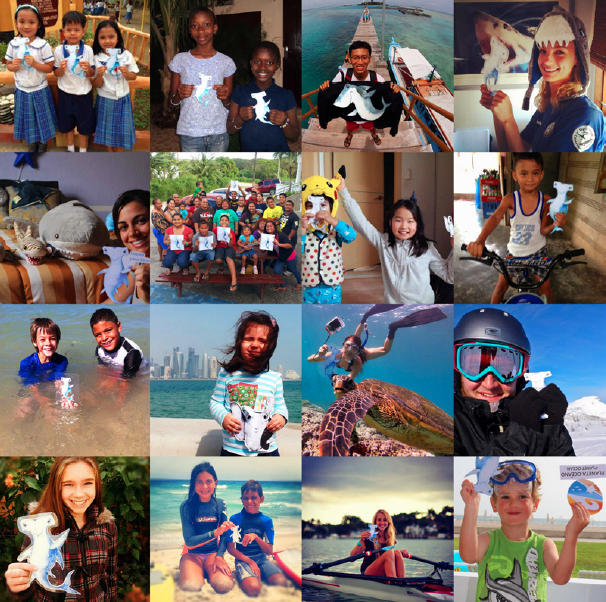 Shark Stanley, the star of a grassroots campaign to protect sharks and rays, was already an international celebrity. Now he’s the hero of a children’s book, too. The Adventures of Shark Stanley and Friends, available today in a special online release by Shark Defenders and Sage Magazine, follows Stan — a courageous hammerhead shark — and his three companions, Pierre the Porbeagle, Waqi the Whitetip, and Manta Reina, as they navigate human perils through their undersea home. The quartet dodges longlines, harpoons, slime-covered reefs, and garbage patches, along the way discovering how sharks and other predators help keep ecosystems healthy. The four characters correspond to the four species of sharks and rays to which the Convention on the International Trade of Endangered Species (CITES) will consider granting increased protection at its annual meeting in March. Hammerhead, Oceanic Whitetip, and Porbeagle populations have plummeted in recent years as a result of the shark fin industry, which contributes to the death of up to 73 million sharks every year. Mantas, whose gill rakers are prized in herbal medicine, are in similarly dire straits. Enter Shark Stanley, the brainchild of Leah Meth, Onon Bayasgalan, and the non-profit Shark Defenders. Last fall, Meth and Bayasgalan, students at the Yale School of Forestry and Environmental Studies, decided they wanted to help get sharks protected at CITES. But how? The internet was already saturated with shark conservation petitions, and while many of these petitions were effective, the two students believed that a creative new strategy could mobilize grassroots and prod officials. Photos are compiled from across the globe and turned into a unique petition. Visit www.sharkstanley.com for information on taking your own photos. Their solution: Shark Stanley, a cartoon hammerhead designed and illustrated by New Haven-based artist Daniel Yagmin, Jr. Like his predecessor Flat Stanley, Shark Stanley is intended to be cut out and photographed all over the world; unlike Flat Stanley, pictures of Shark Stan are uploaded to a network of social media platforms, forming the backbone of a global conservation campaign. While Meth and Bayasgalan hoped that Shark Stanley would gain traction, they never could have guessed that their creation would go so viral: to date, they’ve collected over 1,500 photographs from shark-lovers in 84 countries, and dozens of non-profits, aquariums, and dive shops have leapt at the chance to sponsor Shark Stanley. To fully develop the personalities of their toothy protagonists, Meth and Bayasgalan hit upon the idea of incorporating a children’s book into their campaign. The duo recruited Yagmin to provide watercolor illustrations and fellow Yale students Ben Goldfarb and Monte Kawahara to co-write the book and provide graphic design, respectively. From the book, you can expect underlying themes you don't often find in the children's literature or mainstream campaigns. Shark fin fishing is a vastly nuanced problem, and the book’s creators sought to capture the full complexity of the crisis. “It was important for us to portray the global nature of the shark fin industry,” says Meth. “We wanted to demonstrate that the fin trade is driven by larger market forces, rather than simply villainizing local fishermen who are often just trying to make a living.” "We also wanted to take an equally broad approach to understanding the role of sharks in maintaining the health of the ocean as well as ecosystem services key to human livelihoods," she continues, "translating some of the more technical aspects of the effects of apex predator loss into something kids could understand and enjoy." Now Shark Stanley’s creators have to hope that the CITES delegates respond to the message. Each representative will be mailed a copy of the book, an informational packet, and a booklet of shark aficionados posing with their Stanley cut-outs — de facto "signatures" on a unique petition that displays the many global faces of shark conservation. Meth and Bayasglan hope to collect photographs from all 177 CITES countries. In March, the duo will travel to Bangkok for the conference to ensure that Stanley gets his point across. Oceanic whitetips, hammerheads, and porbeagles narrowly missed protection in 2010, and the case for their endangered listing is even stronger this time around. If sharks and rays gain protected status this spring, Shark Stanley — or, more accurately, the thousands of Shark Stanleys now circling the globe — will deserve a hefty dose of the credit. 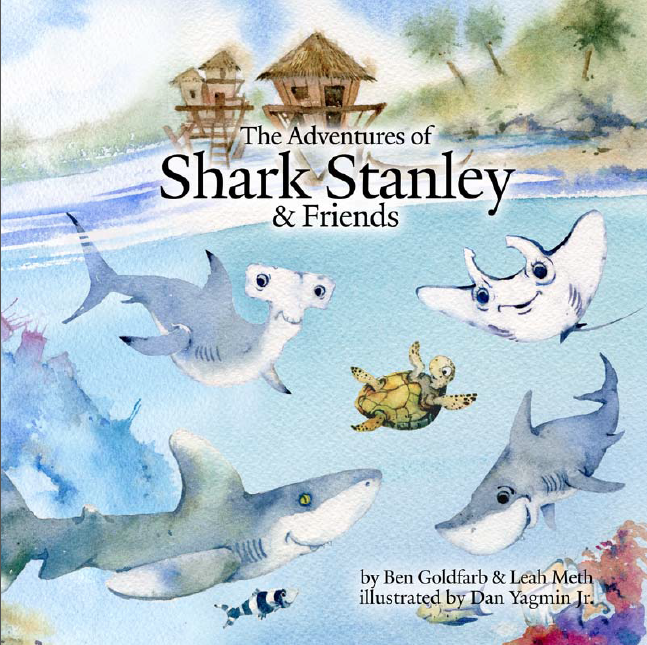 The Adventures of Shark Stanley and Friends went to press last week. The print version will be available for free at the Shark Symposium at the Yale School of Forestry and Environmental Studies on February 15; copies will also be distributed at Mystic and Norwalk Aquariums in the days prior to the symposium. The book will also be available for purchase online. For more information about the Shark Defenders campaign, check out www.sharkstanley.com.